Stainless Single Thread Pozi Screw 3.5 x 25mm (200 Pack) is rated 4.7 out of 5 by 64. Rated 5 out of 5 by Mr Tall from Garden Fence Rebuild Good non rusting screws, needed to assemble and disassemble fence whilst making alterations to the garden wall. Easily unscrewed and screws reused again. Heads don't wear. Prefer these to decking type screws. Rated 4 out of 5 by BorderReiver from They seem to work fine The head is quite large - which means that they sit proud of the mending plates that I bought to use them with. Having read the reviews, I was concerned about them snapping - so I drilled a pilot hole for each one. No issues with screwing them in. As for longevity, I'll write another review in twenty years time! Rated 5 out of 5 by McDubh from Ideal for garden gate I bought these to attach the hinges to a garden gate and they proved to be ideal. Despite the chunky size they drove into the wood easily without pilot holes Being stainless I hope they last and don't rust but time will tell. Rated 4 out of 5 by clewis from Generally a good woodscrew Bought these for a project for the wife making elevated vegetable beds for the patio. The screws work well however you do need to be careful as they seem softer than the standard woodscrew so when using a drill/driver make sure you apply sufficient pressure ans try not to let the bit 'jump' in the screw head or it will make removing the screw difficult. Too early to tell about the reliability. Rated 5 out of 5 by MatthewTheWriter from good screws The only problem I have with these screws are that they are bit soft, but that is stainless steel for you. They will never rust and that is what I needed. Rated 4 out of 5 by Old dog new tricks from Good screw, but fragile! 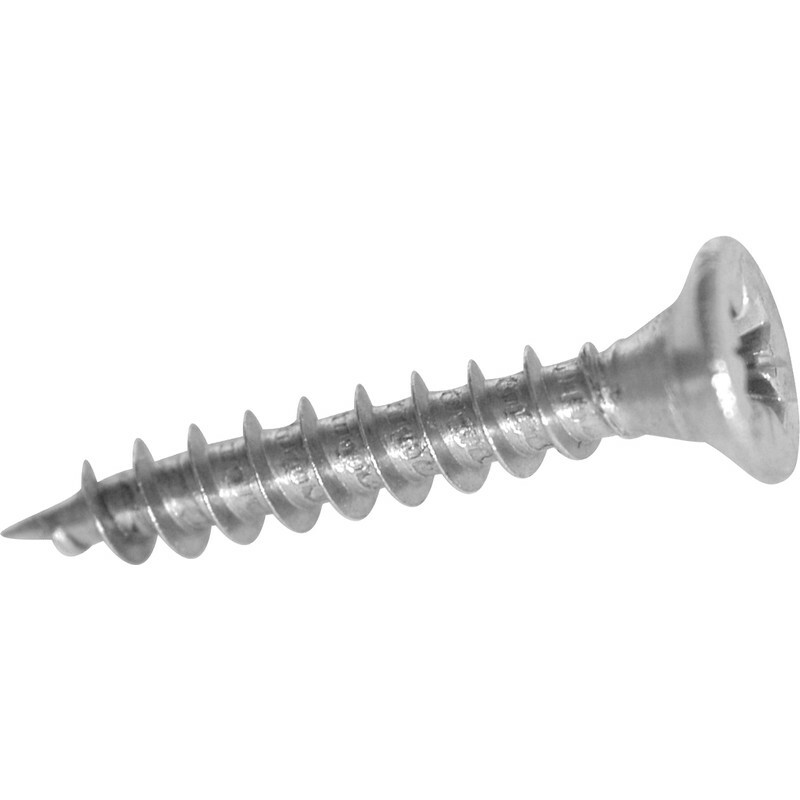 I bought a selection of the stainless screws, for exterior works, and they are fine - but all require a pilot hole of the right diameter and depth drilled first Ive found, or they can bind (especially in hardwoods and plastic masonry plugs) and snap. Soft stainless, so care required. Rated 5 out of 5 by Mike12 from Good screws Have used loads of these, even close to the coast with it's salty atmosphere, with no corrosion after years. However, it not twin thread so takes a bit longer to do up.